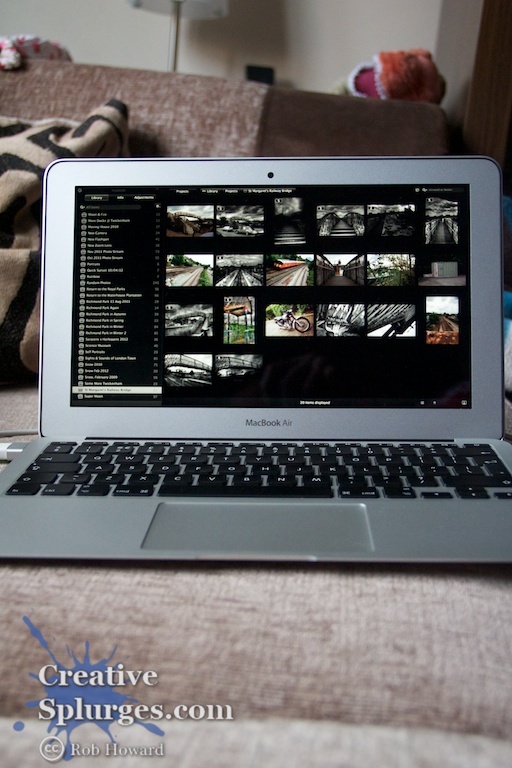 It is almost obligatory these days for a photography blog to log down what equipment is being used. Maybe it’s bragging, maybe it’s just a courtesy so someone in the market for some new hardware can see what results certain gear can get. For me, however, I find that a full and accurate model number appeals to my obsessive compulsive nature, so I like writing them down. There is also, I suppose, also an element of the former in there as well. Most of this is not strictly relevant, so this is a breakdown of the equipment that’s in my camera bag, along with a few thoughts about them. The title links go straight to the Amazon product page. These are referrer links, so buying any of these product using the links will help support me and this often expensive hobby. 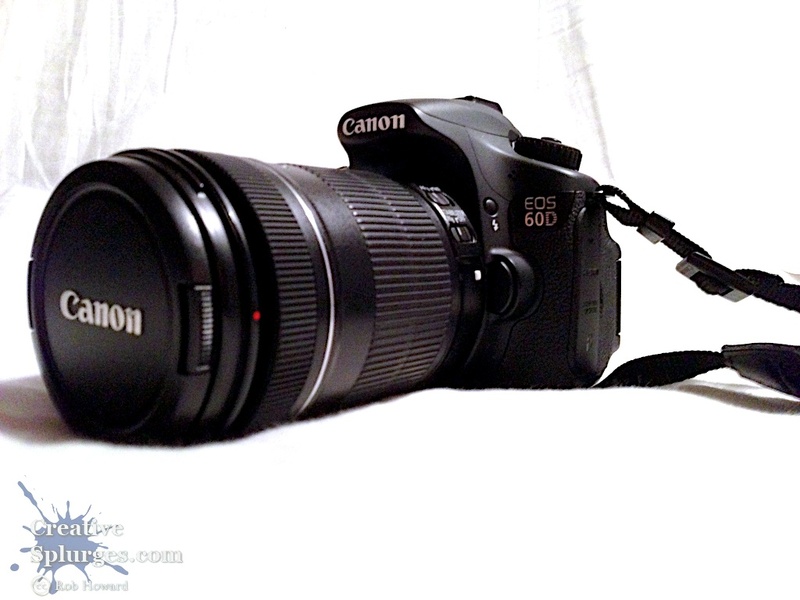 I’ve been shooting with the Canon EOS 60D since summer 2011, and I continue to love it. It’s rarely let me down, any time I’ve missed a shot it’s been due to my own stupidity. It’s great in low light with a top ISO of 6400, has a pretty decent 18MP sensor (certainly not the highest these days but plenty high enough for my uses), and a burst mode that captures five shots a second, great for when things are happening so fast that even the seasoned pros just have to spray and pray. It also has a fold-out LCD screen for those times when the perfect shot requires the camera to be in a position where a human’s head (especially one as amusingly-sized as mine) can’t fit. Prior to the 60D I owned an EOS 400D, which was a great starter getting me into DSLR photography, but after a few years I felt I had outgrown it. For reference, any pictures taken before late July 2011 were shot on the 400D. For when I need to travel really light, the DSC-RX100 is a highly portable little point-and-shoot with a f/1.8 aperture and a 20MP sensor which gives some great results. 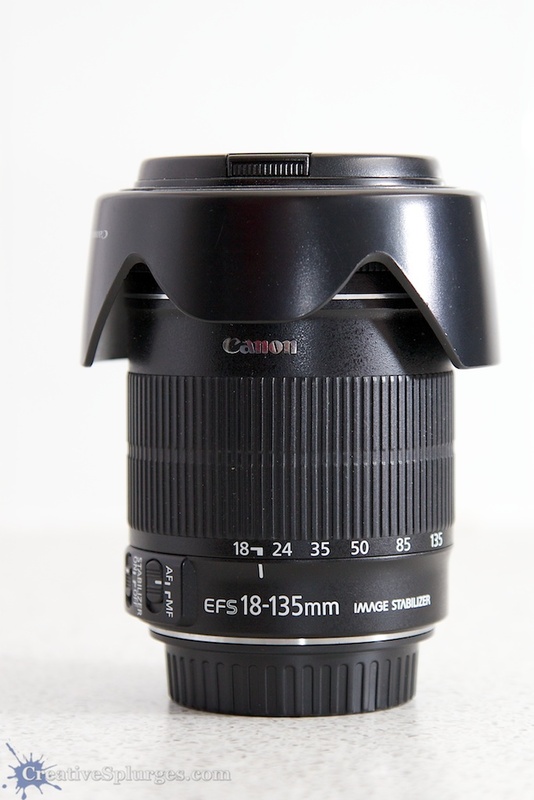 This is my new work-a-day lens, replacing the 18-135mm EF-S I originally got alongside the 60D. Much like the 400D that came before my 60D, I was beginning to feel I was beginning to feel a little frustrated with the quality of the 18-135 with its chromatic aberrations and lack of pristine sharpness when I needed it, and was toying with the idea that I should have a far better lens for the one that is on the front of my camera 70% of the time. When I found a Groupon offer of this lens at a decent discount, I jumped at the chance. With my old 400D I had an 18-55mm lens and a 55-250mm lens, and the lack of crossover between the two lenses’ focal lengths and the relative lack of zoom on the shorter lens meant I was swapping lenses frequently, and could almost be guaranteed to never have the right lens on my camera at the right time. When I upgraded to the 60D I realised I needed more than a standard kit lens, and I decided to get a decent lens with as big a zoom range as possible, giving me a nice wide focal range and minimising the need to swap out lenses any time anything happened more than a few yards away. The 24-105 has Canon’s really quite effective Image Stabilization technology, which allows me to get pretty good results without a tripod (which is a piece of kit I rarely carry). 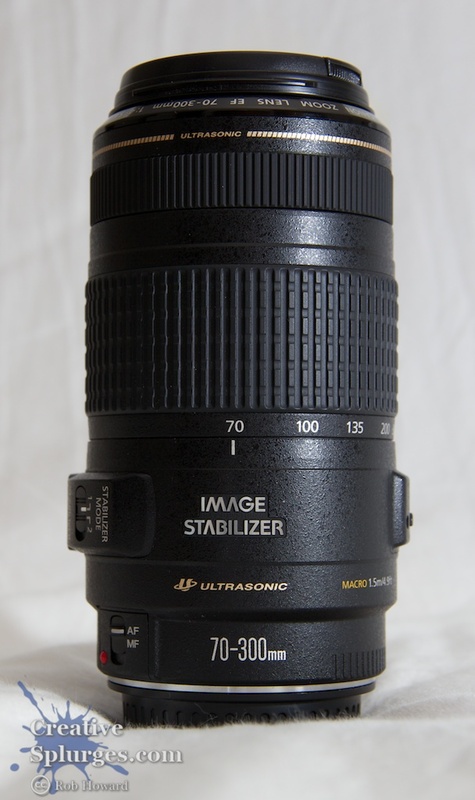 For the times when 105mm is still not enough, I have this lens. Unlike my last set of equipment, the lower focal length of this one crosses over with my ‘main’ lens so I less frequently find myself with the wrong glass. The 300mm top end, meanwhile, can get pretty close to wildlife or aircraft. Many of the closeup photos of planes in the Bournemouth Air Festival megapost were taken with this lens. I’m not sure if it’s the fault of the lens or the camera body, but the autofocus can tend to hunt around quite a bit at times, and there is no full-time override of the focus ring to correct this. I do sometimes find myself desiring something with a bit more zoom to it, but the difficulty here is I wouldn’t want to lose too much off of the bottom end of the focal range that I enjoy with this lens. That said I’d love the EF 400mm f/2.8 L if anyone reading this is feeling particularly generous. I’d find some practical way of carrying it, don’t worry. Beyond my two main lenses, I have a couple of other more specialised lenses that allow me to play about and get some interesting results. This one is a macro lens, allowing me to focus on items only about 15cm in front of the glass, great for insects or extreme closeups. It has 1:1 reproduction, meaning whatever you’re photographing can appear up to life-size on the camera’s sensor, leading to some incredible closeups. The lack of Image Stabilization can be an issue in lower light however, and when you’re focusing really close with the widest aperture setting, the depth of field is millimetres thin – this lens, thankfully, has full-time manual override on the focus, so you can easily adjust if the autofocus hasn’t quite got it right. That said, the depth of field at f/2.8 is so tiny your breathing and natural body tremors can cause the subject to sway in and out of focus. I call it ‘macro sway’ and the best thing to do is hold your breath and try to time firing the shutter to the right moment. The autofocus is also really fast. For times when you can lock off the camera and use a longer exposure, the aperture closes all the way in to f/32. The lens also focuses to infinity, and its big aperture allows for a nice shallow depth of field, which means I also intend to use it for some portrait work. It’s also useful for mid- to near-range wildlife photography, as you won’t have a problem with animals getting too close to be able to focus on them, unless they are actually intending to steal or eat you or your camera. 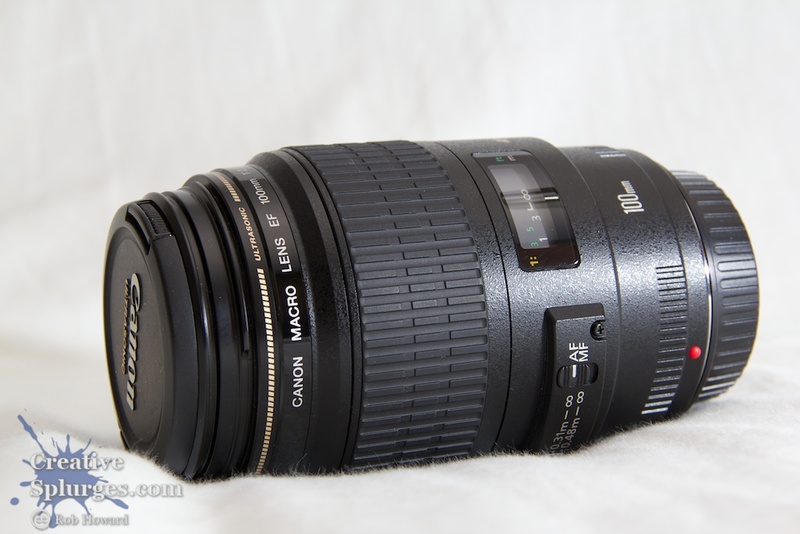 My most direct upgrade, I replaced my 50mm f/1.8 “nifty fifty” with the 50mm f/1.4 USM in January 2015. I’d hired it for a while to play around with and decided that its superior image quality, faster autofocusing and bigger aperture was worth the cost of upgrade. I love images with ultra narrow depths of field and great bokeh, and this lens is great at both. 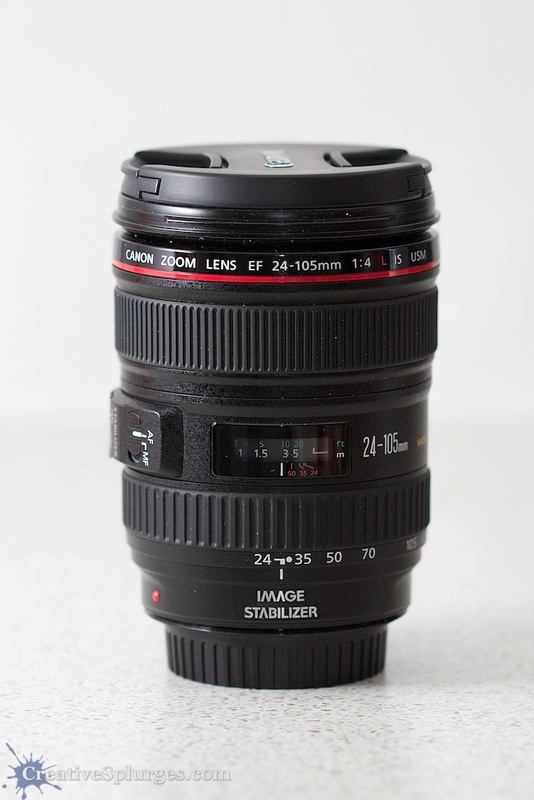 If my cats are being cute, this is the lens I go for. I have lens hoods for all of my lenses, but only the one for the 24-105mm comes with me everywhere as the others are a bit big to fit in my camera bag. Only the hood for the former is an official hood; the others all came very cheaply from eBay for less than a tenner for the full set. 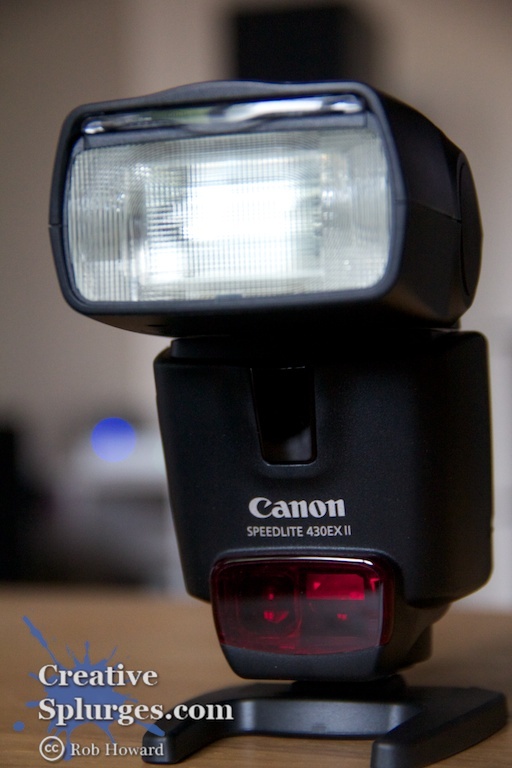 A relatively recent addition to my kit, Canon’s midlevel flashgun. It’s reasonably powerful (I’ve taken photos in near-completely dark rooms that look brightly lit) and more importantly for me can be fired wirelessly using the 60D’s built-in remote trigger so I can get a side-lit subject. I’ve not had occasion to use it too heavily, but it has seen action in this set of practise images, as well as most of the images on this page, and saw use as a fill flash in some of the images in this post. To complement this flash and get the most out of it, I have a plastic diffuser to soften the light a bit, and a Lastolite Ezybox softbox which diffuses the light even more and gives a great, natural-looking soft light for portraits and the likes. When I upgraded to the 60D, I also needed to upgrade to a bigger camera bag, my old Crumpler Pretty Boy not really being big enough for camera and all my lenses (I do still use the Pretty Boy, however, when travelling light, as it is the perfect size for the 60D and my two main lenses). After a bit of searching, and even one returned alternative, I finally settled on the Crumpler New Delhi. I decided against a ‘backpack’ type bag like a Lowepro as I’m often on a bike whilst scouting for photos and need to be able to swing my bag round and grab my camera and any other kit without dismounting. The bag can get a bit heavy when fully loaded, but if you have a lot of gear to lug around, you need something big. It also has space for a 15″ laptop, but if you add that to all your camera kit and walk around for any length of time, it will redefine pain for you in a very real way. My choice in this bag was justified only a few weeks later when, whilst in Bournemouth photographing the annual Air Festival, we got caught in torrential downpours that caused flash floods and washed bits of the town into the sea. When I say ‘caught in’, I do mean we were outside in the rain at one point, getting completely and totally soaked through. The Crumpler, however, proved to be completely resistant to mother nature. Even the event programme, which was in the bag but outside of the ‘inner’ bag that contains my kit, didn’t have a drop of water on it. Since then I now proudly describe the bag as “more waterproof than Bournemouth”. As I am starting to experiment more with night, macro and astro photography (well, by ‘astro photography’ I mean ‘the moon’), I needed to invest in a remote shutter release so I could fire the camera without jogging it. This remote, a steal at only a tenner, replicates all of the function of the 60D’s shutter button, with the added bonus of a lock so if you’re using bulb mode at night you don’t have to stand around like a lemon during long exposures. I don’t often use a tripod, although admittedly I am finding myself using one more as I experiment with night and HDR photography. However, for me portability is a big issue – I don’t want to be carrying around a ruddy great tripod on the off chance that I am going to need it. 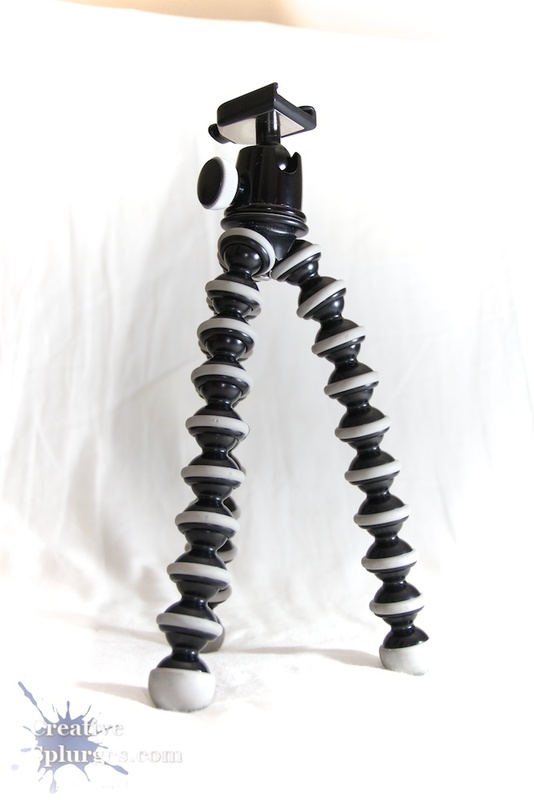 This is where the Gorillapod comes in. It is small enough to fit in my bag without getting in the way of adding noticeable weight, but is there when I need it. The main downside, of course, is that you need somewhere to attach it so you are more limited for positions compared to a ‘full’ tripod. The iPhone deserves a mention in this section as I do often use it for on-the-fly photography. Most of the time when I’m at work I won’t have my DSLR on me, as there’s no point in lugging it to and from work every day, so my iPhone is all I have when a photo presents itself. Which is why it’s fortunate the iPhone has a pretty decent camera and can get some good results. It also has various apps, such as Instagram, for creating content on the go. I’ve been an iPhone user since day 3 (not quite day one, but pretty close), and it’s amazing to see how far this device has come as a portable camera. The iPhone X in particular has a fantastic pair of cameras on it and the artificial depth effect, whilst obviously algorithmically generated, gives great looking shots when it’s the only thing on you. Although sadly out of business now, Triggertrap produced some very handy smartphone/SLR accessories that allowed you to trigger your DSLR or flashgun with various triggers from via your smartphone (such as noise, movement, time intervals etc). I have used it in the past for accurately timing long exposures, as well as using the noise trigger to snap some party poppers firing. Unfortunately, with the company’s demise and the lack of headphone jack on the latest iPhones, I find myself using it less and less in favour of a more traditional cable release. On top of the lot listed above, I also have various filters for some of my lenses (mainly polarising and UV). 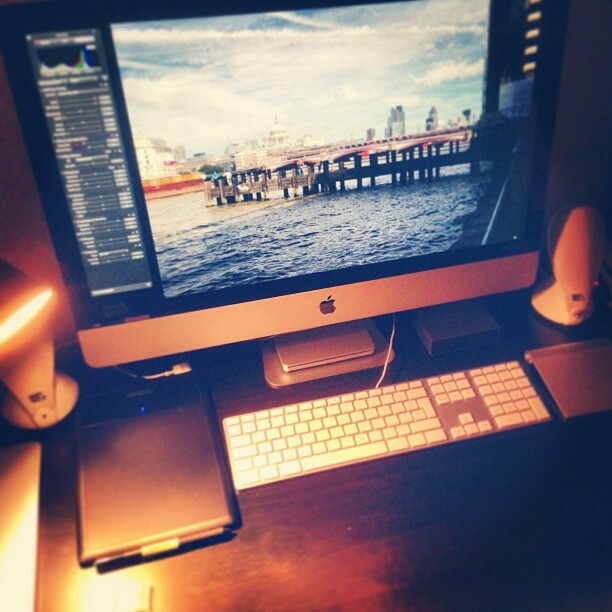 Most of my editing is done on a 27″ iMac. The big screen is fantastic for picking out little details in images and the 3TB of storage means that I’m not going to run out of space for photographs any time soon. Although I’m sure I will eventually. I’ve tricked out the computer, so it has a 4GHz Intel i7 processor, 32GB of RAM, a 3TB Fusion Drive, and a decent graphics chip. Whenever I’m out and about for any length of time, I bring my MacBook Air with me. It has 256GB of storage so I can shoot thousands of images and store them there before I get home and transfer them across to the iMac. It also means, if I’m on holiday, I can edit my pictures in the go before I even get home. For photo post-processing, I use Aperture. I prefer this over Photoshop because it has a library function, so all of my photos are kept in a sensible, easily searchable and referable place. It also outputs whilst watermarks and resizing in a single step, and it uses non-destructive editing, so the master camera RAW file is left untouched by any changes you may make to it. I still use Photoshop, however, when making HDR images or for anything that needs more advanced image processing than what Aperture is capable of. On top of all of the gear listed above, there’s a few bits of equipment that I’ve since upgraded. However, since I’ve linked to them over the course of writing this blog and I think it might be of interest for people to see the progression of my equipment, you can still read about them below. Despite replacing this lens with the EF 24-105mm f/4 L I still keep it around to cover the 18-24mm wider angles that the newer lens can’t achieve, but for space reasons it will only come with me in my kit bag if I think there’s a decent chance I’m going to use it. Somewhere down the line I’m thinking it would be great to fill the gap with a 15-85mm f/3.5-5.6 or a 17-55mm f/2.8 or something along those lines but to be honest, most of the time 24mm is plenty wide enough. Canon EF 50mm f/1.8 II Lens. 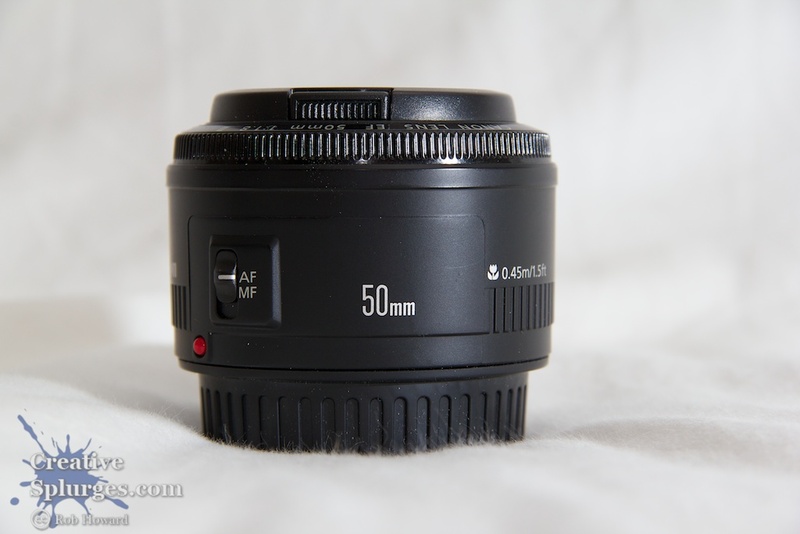 I’ve seen this lens dubbed the “nifty fifty” in reviews, and that sums it up perfectly. It is a very cheap lens – about £80 at time of writing – but has a big aperture for a very narrow depth of field, and the results are stunning for such a cheap lens. Sure, the autofocus is a bit loud, and it feels like a lens that costs £80, but the results punch far above its weight. Compared to the rest of the lenses in this lineup it sometimes lacks sharpness, but it’s plenty good enough for most people. If you’re interested in expanding your DSLR photography beyond your kit lens, get this immediately. It has a big aperture and a fixed focal length, and so will let you get some great shots and teach you a fair amount about composing and considering your shots along the way. Yay another Canon. Nice to see. I do see quite a lot of Canons when I’m out and about. They make nice cameras! Thank you, it is my pride and joy (even when some of my non-photography friend mock the size of the bag it all comes in…). Any suggestion for a first DSLR perhaps? The 60D isn’t going to be terrible as a first DSLR, as it has the same auto modes as any of its lower-end siblings in the Canon DSLR range. It won’t really be worth it, however, if you’re not intending to expand beyond the simple capabilities, when the 1100D or 600D will do the same for cheaper. That said, if you are planning on expanding and learning all of the intricacies of digital photography, buying the 600D only to outgrow it in a year’s time is going to be a waste of money if you then end up wanting the extra features in the 60D. Ultimately it comes down to your budget and your expectations. The best thing I can suggest is getting out to your local camera shop and actually playing with some DSLRs and seeing what feels right. A good thought on that. Thank you so much for the advice, Rob! 🙂 I guess it’s really time for me to get down to the store itself.